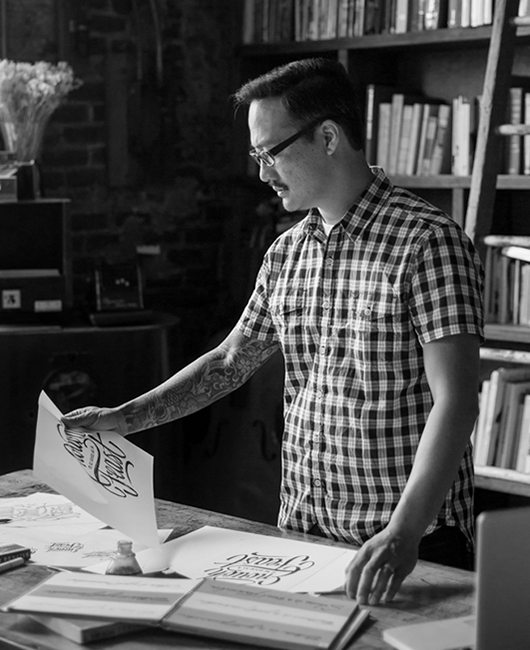 Neil Secretario is a left-handed lettering artist and graphic designer based in Atlanta, Georgia by way of the California Left Coast. As a freelance designer, he has drawn logos, custom letters and type for clients around the world including Conde Nast, GQ Germany, Intercom, Lionsgate, Mikimoto, Penguin Random House, Schweppes Europe, Sony Pictures, and YouTube Red. He has also contributed to Lost Type where you can find Calafia, a script typeface he designed inspired by left-handed brush lettering. Neil is currently accepting freelance lettering and design work.